in the Wired – Present day. Present time. Ten, two, one, zero. Take off! There are many duel songs in Revolutionary Girl Utena, and all are great in their own right, adding yet another layer to the show, summing up the theme of each character’s struggle in each duel. “Utopian Past Tense Incantation” is Kozue’s first duel theme, and one of the more peculiar ones, with its distinctive phrase as seen above in the caption. I’ve always enjoyed how different this duel theme is from most of the others. If you like a little power in your prog, King’s X is the band for you. Three great musicians who excel at their instruments, and they put on a great live show, too. Lots of their songs have great riffs led by Doug Pinnick’s bass, and “Dogman” is a perfect example. Two of my fandoms have collided again. One of them is new. I don’t even remember how it got on my radar, but I recently discovered the series Dead Like Me (which originally aired in 2003), and I’m glad I did. It’s a series which breaks the mold a bit, being a “dramedy” about grim reapers, who appear as fairly normal people in the show’s world. The main character is Georgia Lass, an eighteen-year-old underachiever who meets an untimely end thanks to a toilet seat which falls from a Russian space station disintegrating in the atmosphere. Rather than moving on to the afterlife, she is destined to remain in limbo as a grim reaper, taking people’s souls before they die, so they feel no pain when it happens. Georgia leaves behind a family, including little sister Reggie. After I finished watching Dead Like Me, I made a great discovery related to another big fandom of mine… My Little Pony: Friendship is Magic. What is the connection? It seems little Reggie grew up to become none other than Twilight Sparkle’s sister-in-law: Princess Cadance! Britt McKillip, who played Reggie Lass in Dead Like Me, is the voice of My Little Pony‘s Princess Cadance. Is it possible for someone to be as cute as the characters they give a voice to? Often times, yes. When I first saw K-ON!, Azusa quickly became one of my favorite characters, in part because of her voice. Providing that voice is Ayana Taketatsu, who was nearly twenty years old when the anime series debuted in 2009. K-ON! being a series about a band, I got to hear her sing occasionally in some of the show’s songs. A few years after the show aired, she became a singer in her own right, both as a solo artist and as part of the duo Petit Milady with fellow seiyuu Aoi Yuki. As one might expect, the songs from both of these projects are extremely lighthearted and cute. Now nearly thirty, Taketatsu is still emitting cute waves in her music and photoshoots. When it comes to picking favorite characters from the Ghibli roster, it’s just about impossible, because they all are great in their own way. Fio Piccolo from Porco Rosso is another standout for me, though. Fio also has a special place for me because she is also one of my favorite engineers in anime (and video games), with the likes of Kohran Li (Sakura Wars), Skuld (Ah! My Goddess), and Lucca (Chrono Trigger). The film may be named after its part-porcine protagonist, but Fio has equal share of the spotlight in Porco Rosso, since without her aviation design and engineering expertise (at the age of seventeen! ), The Crimson Pig wouldn’t have gotten very far. Belldandy’s little sister Skuld from Ah! My Goddess is my favorite of the three sisters. Skuld’s domain is the future, and she’s also a system debugger for Yggdrasil, literally squashing bugs with her mallet. Skuld is also a talented engineer, building things such as Banpei-kun (pictured with her above), who helps out around the Morisato house. When Skuld finally joins Belldandy and Urd on Earth, she doesn’t like Keiichi one bit, and is jealous that he is stealing precious time with her sister. She eventually warms up to him, though. Several years ago on NHK World’s J-MELO, I saw this surreal music video and it captured my imagination because it reminded me of Katamari Damacy with all of its… strangeness. That was the moment I became a Kyary Pamyu Pamyu fan. in the Wired is a multifandom multimedia blog. Anime, music, art, video games, and whatever else catches my interest. 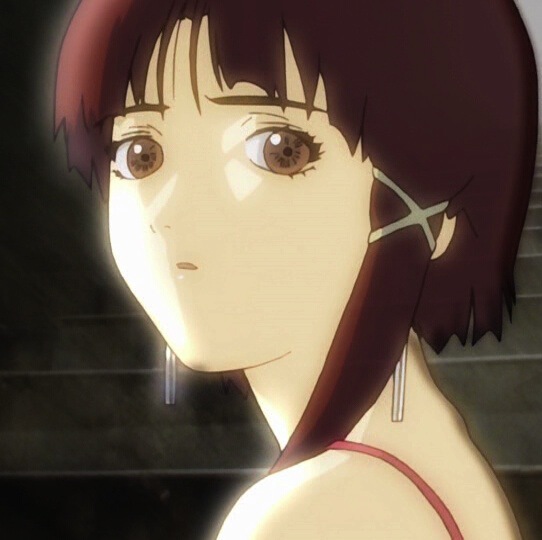 Blog name, layout, and design are inspired by Serial Experiments Lain, which is one of my favorite anime series.